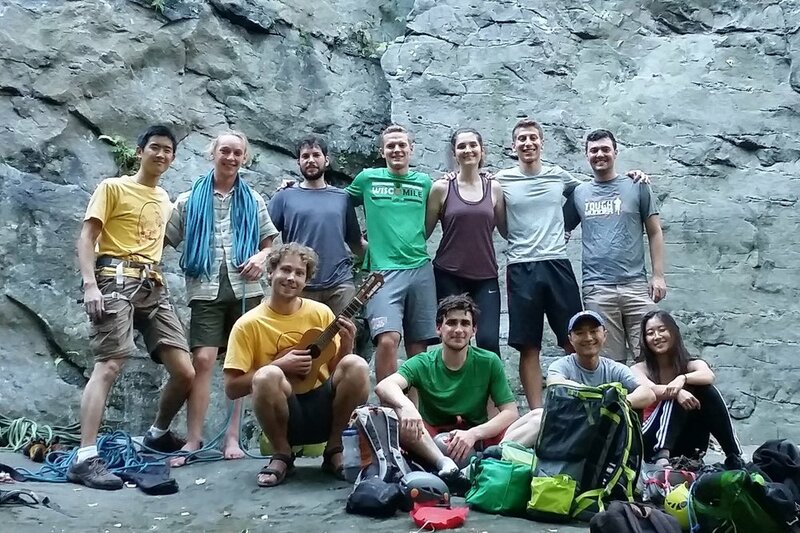 On Saturday, 15 CMUX members headed to Breakneck (Connellsville, PA) for a day of sport climbing and top roping. The weather was spectacular. Connie, Jack, Eric, and Emma learned how to tie in and belay. Alex G, Aria, and Charles practiced lead climbing and belaying. Justin and Dante sent one of their 5.12 projects (rock on guys!) while I shook my Elvis leg and whipped all over the place. Overall, this made for a fun and casual day for CMUX climbers of all skill levels.